Public and civic bodies exist, in theory, as agents of the state for the benefit and welfare of the people they serve through policies, services and benefits. However, there is abundant evidence to show that gender, class, caste and other social stratifiers intersect to determine an individual’s knowledge, access and experience of public services and benefits. Holding public systems accountable for the delivery of quality services to all potential beneficiaries, particularly the most marginalized sections of society, is an essential component of good governance. 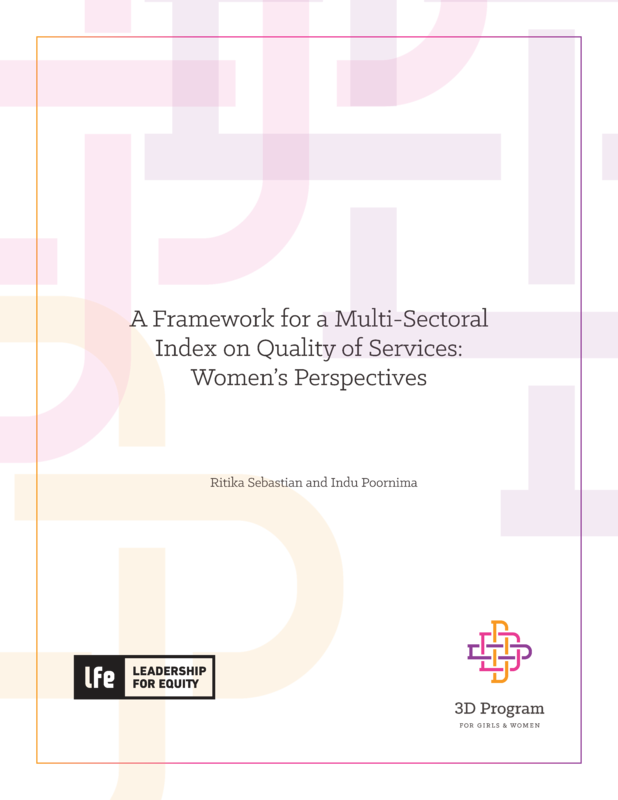 In keeping with this deeply felt need to ensure that public and civic bodies actually fulfill the purpose for which they exist, this report recommends a conceptual framework for a Quality of Services (QoS) index to map efficiency, impact and effectiveness of public services for girls and women.